Mahmoud Zahar gave a speech on Friday night, during a memorial for Hamas "martyrs" killed last year during Operation Protective Edge. It was widely published in Arabic media. 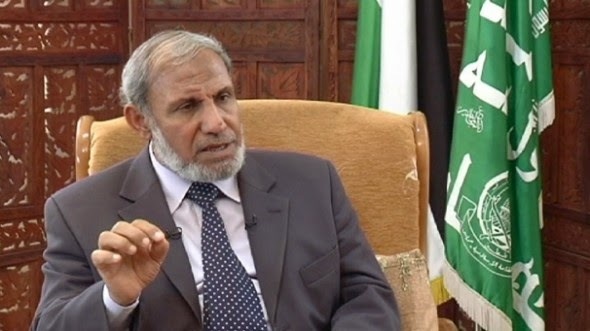 During the speech, after assuring families of the dead terrorists that Hamas will do everything necessary to "unconditionally liberate the land of Palestine," Zahar said that Gaza "would remain defiant of the Jews, and no Jew would ever enter it, whatever it costs us. " Zahar forgot the rule to pretend that this has nothing to do with Jews and to always use the word "Zionists" as a substitute, even when referring to how evil "Zionists" have been for 3000 years.